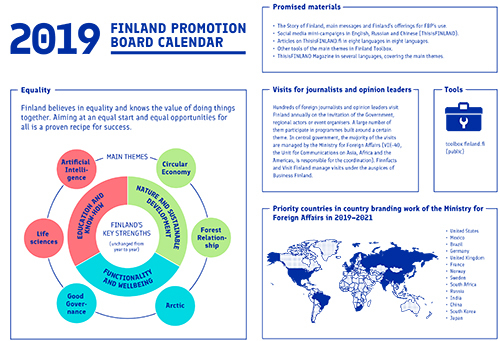 The annual Finland Promotion Board Theme Calendar showcases Finland’s key strengths, highlights the year’s main themes and helps us find a common tone for our messages about Finland. The calendar also lists Finnish and international events and important dates. 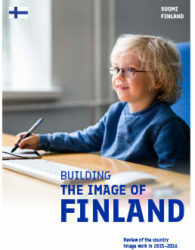 Finland’s key strengths are: Education and know-how; Nature and sustainable development; and Functionality and wellbeing. 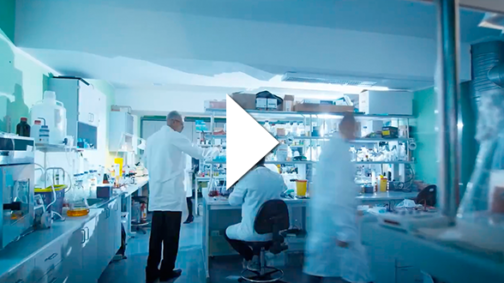 The main themes for 2019 are: circular economy; forest relationship; the Arctic; good governance; life sciences; and artificial intelligence. The cross-cutting theme for Finland in 2019 is equality. Finland believes in equality and knows the value of doing things together. Aiming at an equal start and equal opportunities for all is a proven recipe for success. 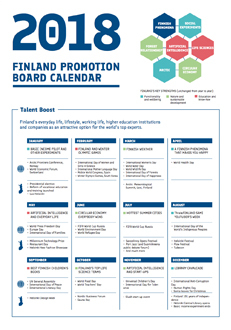 The Finland Promotion Board theme calendar comprises all the country image work themes for the year 2019. The calendar will update as the plans for the Finnish presidency of the European Union progress.